Our constructed systems have the same principle- both of them are the self-supporting systems. The construction is a 2 in 1 system and works also as a roof cladding. The arch construction is a very effective space structure, which has with its low weight excellent static properities and is suitable also for extreme weather cnditions. 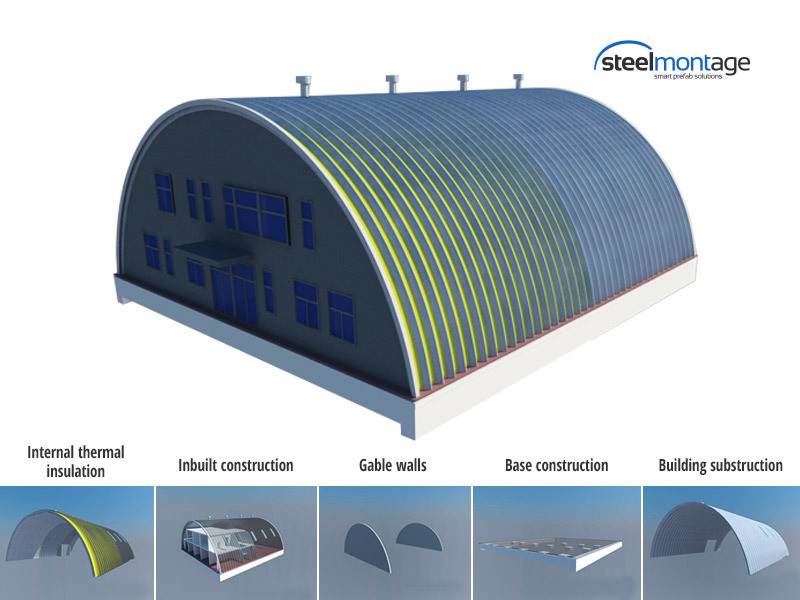 The unique system of self-supporting prefabricated buildings enables a variable space from 9 to 42 m width without any internal supporting construction. Low weight of the construction system has lower requirements for dimensioning the substructure that brings further cost savings. 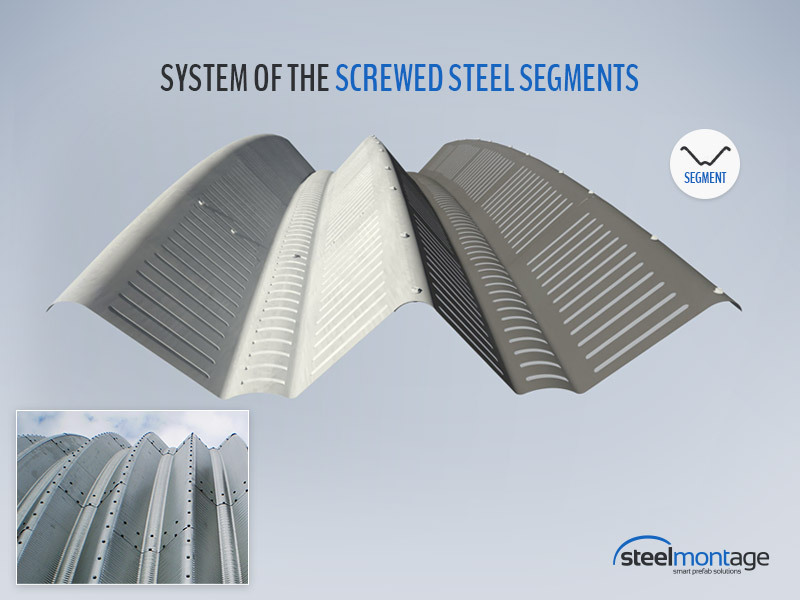 The production process of both systems of screwed segments and folded sheets is based on vertical and horizontal formation of the steel plate into the shape of arch. It combines the statical principles of arch and shell roof. The steel segments or sheets are then joined together and they form the constructionof the building. 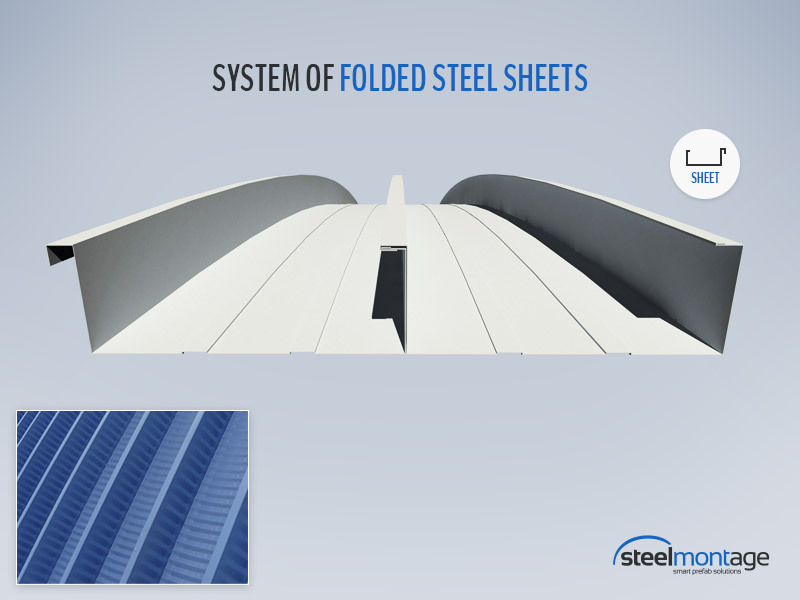 The difference in our construction systems consists in the way of joining of the steel parts.